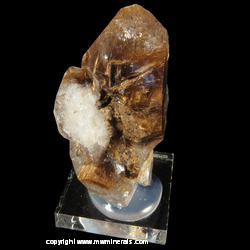 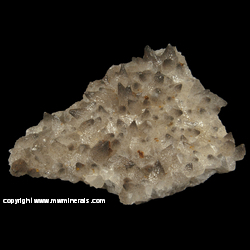 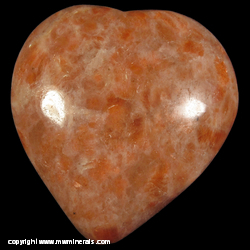 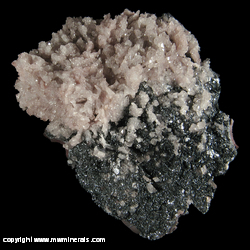 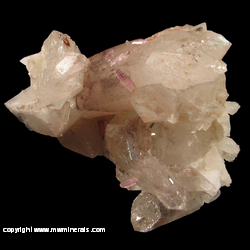 Since the majority of minerals in this gallery have inclusions in Quartz, Calcite or Selenite, the specimens are sorted in the order of the included mineral. 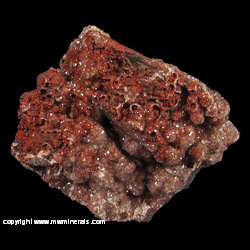 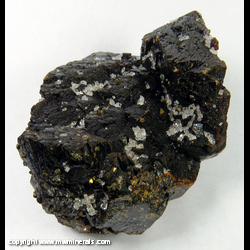 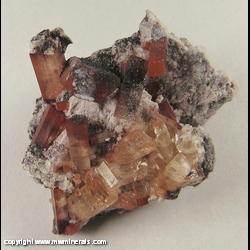 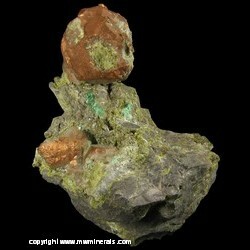 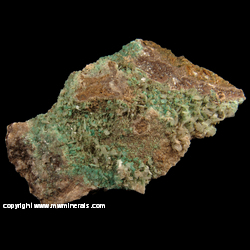 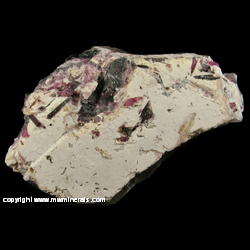 Specimens with unidentified minerals are sorted under "U". 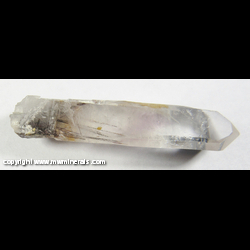 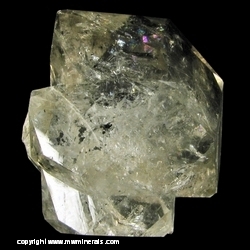 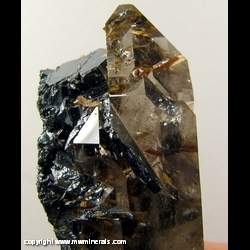 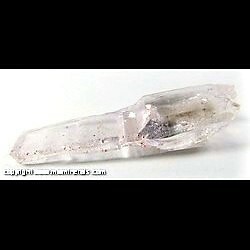 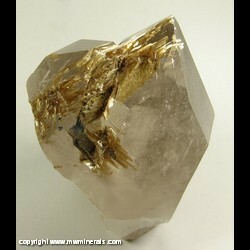 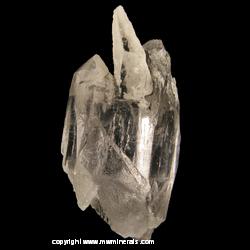 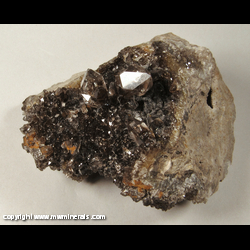 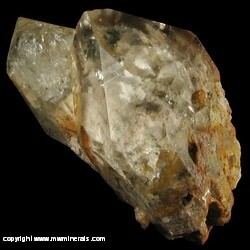 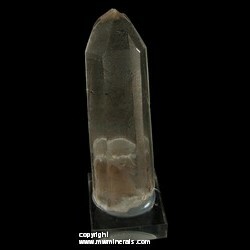 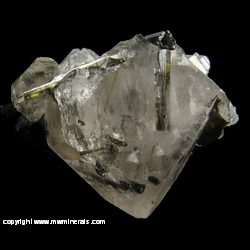 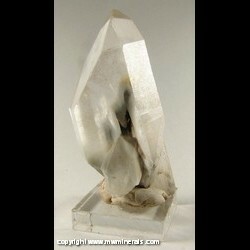 The largest crystal is 1.4 cm long. 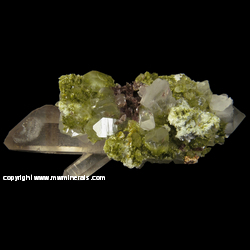 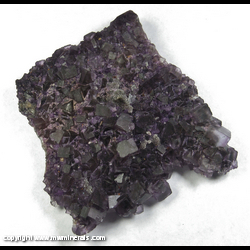 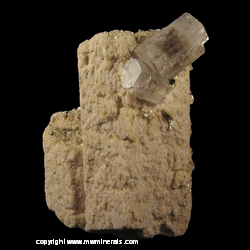 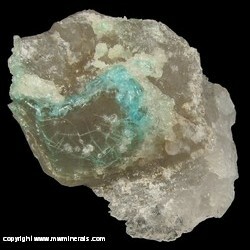 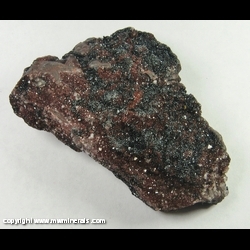 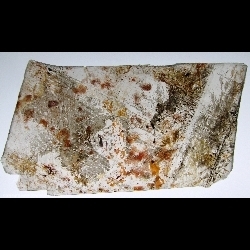 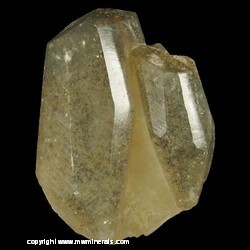 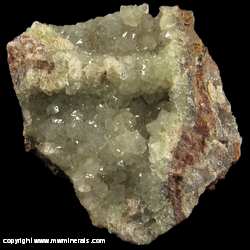 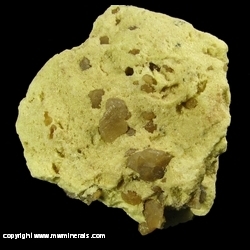 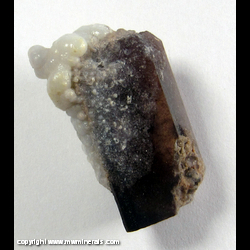 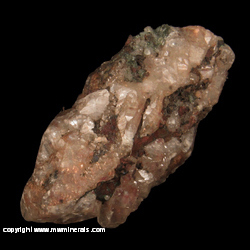 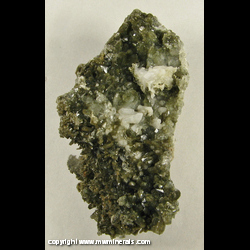 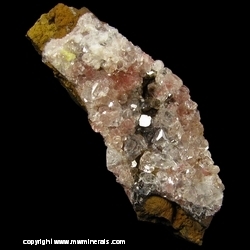 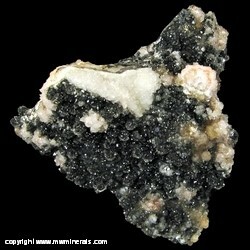 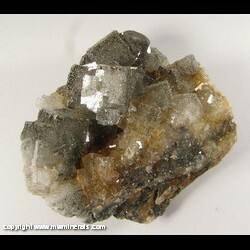 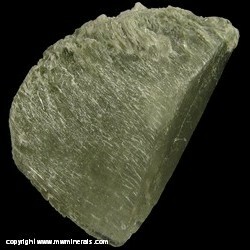 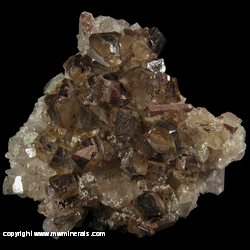 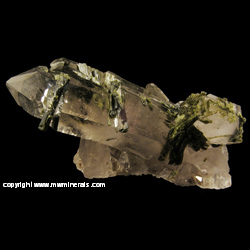 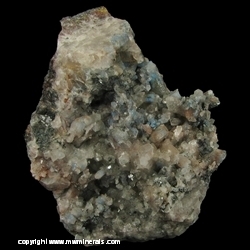 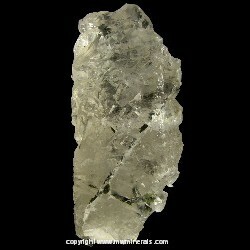 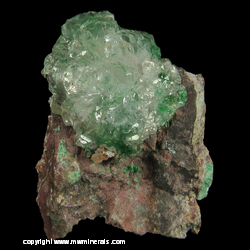 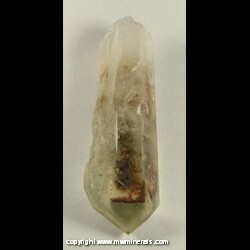 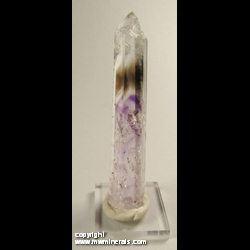 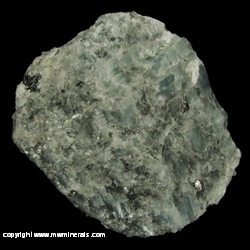 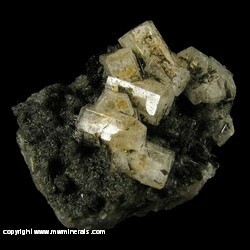 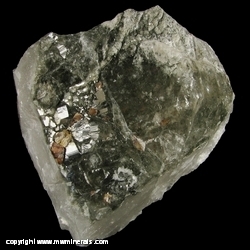 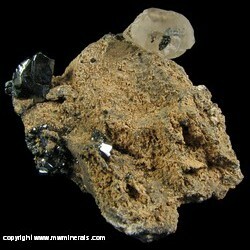 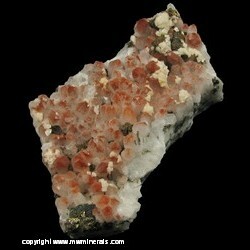 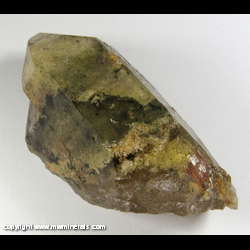 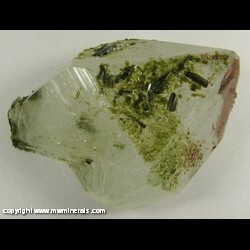 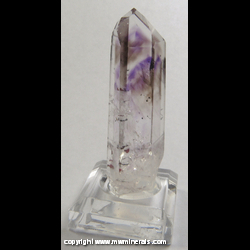 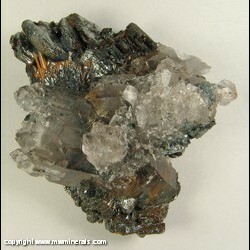 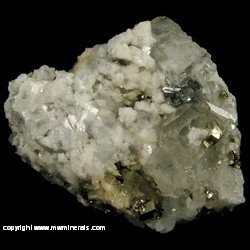 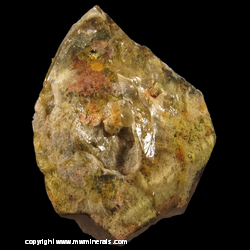 The included Fluorite crystals is 12 x 15 mm across. 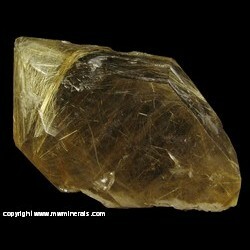 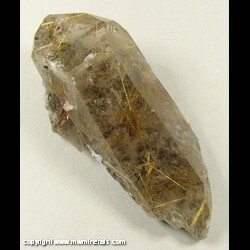 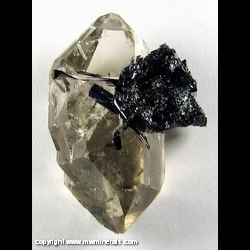 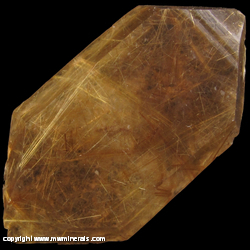 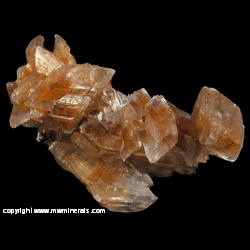 Largest Topaz crystal is 6 mm long and 1 mm in diameter.